Movies featuring skimpily-clad actors in leather underwear seem to be in beckoning this season, what with the recent releases of Meet The Spartans and the upcoming 10,000 BC. From the directors of Epic Movie and Date Movie, Meet The Spartans continue on the path of parodying other films and celebrities. Read how this latest offering fares with us! Check out our latest review for the spin-off to the phenomenal J-Fantasy series Death Note – “L Change The World”. This time round, as evident, the lead of the movie is no longer Kira nor the notebook, but L, the master sleuth with his characteristic childlike innocence. Read how the 128-minute long movie fares with us! 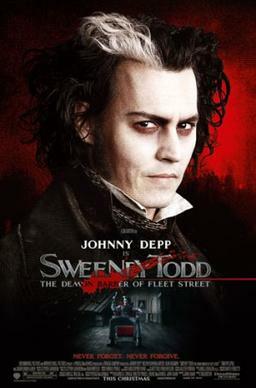 Check out our latest review for musical “Sweeney Todd: Demon Barber of Fleet Street”. garnering 3 nods for “Best Actor in a Leading Role” (for Johnny Depp), “Best Achievement in Costume Design” and “Best Achievement in Art Direction” (which it eventually won) in the Academy Awards. The movie also garnered 4 nods in the Golden Globes, with the film winning the “Best Motion Picture (Musical/Comedy)”, and Depp clinching “Best Actor in a Motion Picture (Musical/Comedy)”. Female lead Helena Bonham Carter and director Tim Burton also received nominations. Read more at our reviews page! Check out our latest review for the indie flick “Juno”, garnering 4 nods – “Best Picture”, “Best Director” (for Jason Reitman), “Best Actress” (for Ellen Page) and “Best Original Screenplay” – for the upcoming Academy Awards at our reviews page!